Chilli rating - 1. No artificial colours or preservatives. Suitable for vegetarians. Ready to eat straight from the jar. 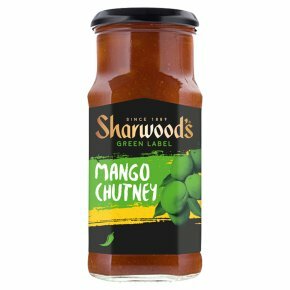 Our classic Mango Chutney goes down a treat with curries and it's perfect with poppadoms and naan bread too. Simply pour into a bowl and you're ready to dip in.